Bhubaneswar: Housing and Urban Development Minister Niranjan Pujari today visited the office of the Bhubaneswar Smart City Limited (BSCL) and reviewed the progress of various major projects being undertaken by BSCL, the special purpose vehicle (SPV). 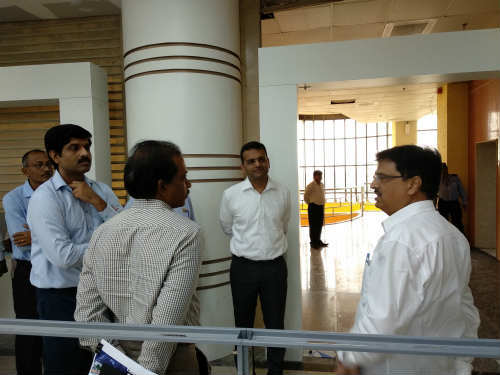 During his stay in the BSCL office for over one and half hours in the BMC-Bhawani Mall, Saheed Nagar, where the BSCL is having its office, the Minister visited the Bhubaneswar Operations Centre (BOC), the new office floor under construction and took stock of the current status of all major projects under the SPV, at the conference room of the Bhubaneswar Operations Centre. Senior officials of the H&UD Department, BMC and BSCL were present at the venue. The Minister saw a presentation detailing the present status of projects like Smart Janpath, Smart Solutions – Intelligent Communication and Operations Management Centre (BOC), Adaptive Traffic Signal Control System, Common Payment Card (PPP Project), Solar City Roof Top, Saheed Nagar and Raj Mahal multi-level car parking, Social Equity Centre, Integrated Public services centre, Smart Parks, Sensory Park, 3I – Integrated Infrastructure Improvement, Railway Station Multi-modal Hub, Lake Neutral, Satya Nagar Institutional Core and Making Bhubaneswar Socially Smart. The redevelopment of Janpath Road as Smart Janpath includes streetscape design, beautification, landscaping, intersection redesign, and infrastructure upgrades with construction of new pavement, rehabilitation of existing pavement. The Minister asked several questions on the different design interventions and how they would benefit citizens. He appreciated the work progress in all the projects coming under the Smart City Proposal and also advised the officials to give more emphasis on the slum redevelopment and rehabilitation projects. He also said that as the topper in the Smart City proposal race, the city should finish all the listed projects in time. The Minister also said that successful pilots taken up as projects under the Smart City Proposal, could be scaled up to pan-city level in future to benefit more citizens. It can be noted here that the Government of Odisha on February 23, 2016, constituted the SPV for implementation of Smart City Proposal of Bhubaneswar selected under Smart City Mission programme. The SPV is spearheaded by Commissioner of Bhubaneswar Municipal Corporation, as the Managing Director and day to day operations and business affairs are handled by a full time Chief Executive Officer. 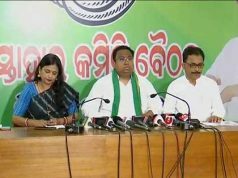 It functions under the directions of a Board having 13 directors from Government of Odisha along with five independent directors out of which 7 directors are women. The SPV is further advised by a City-Level Advisory Forum headed by the Mayor of Bhubaneswar and having other members from city leaders.